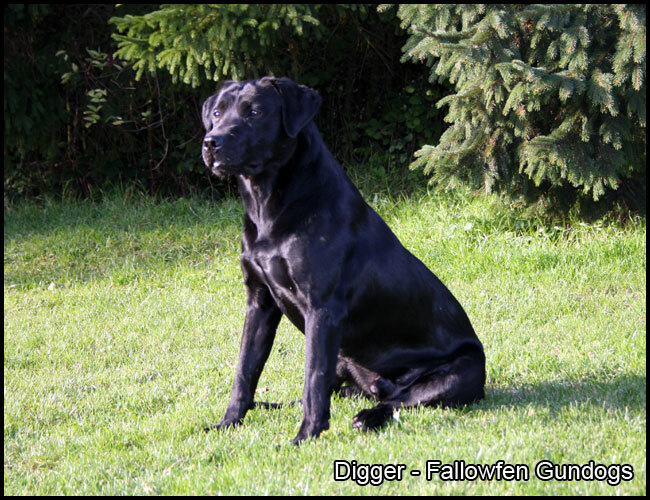 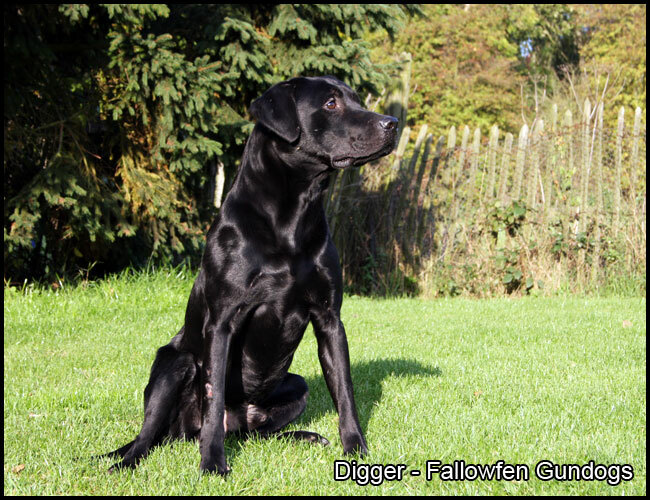 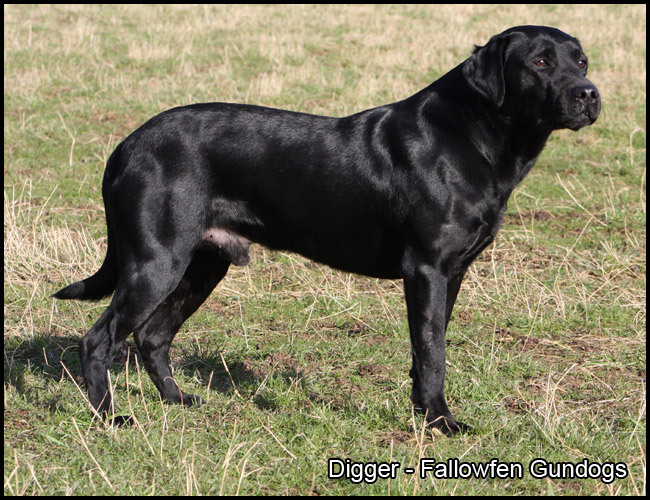 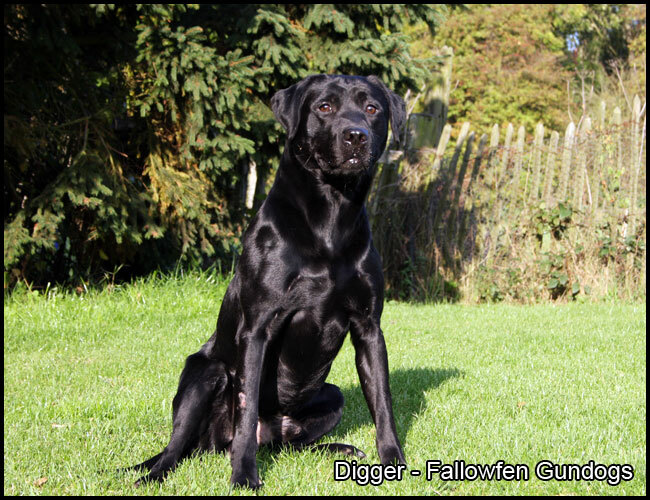 Calderhey Digger of fallowfen "Digger" Proven working black Labrador stud dog and gundog. 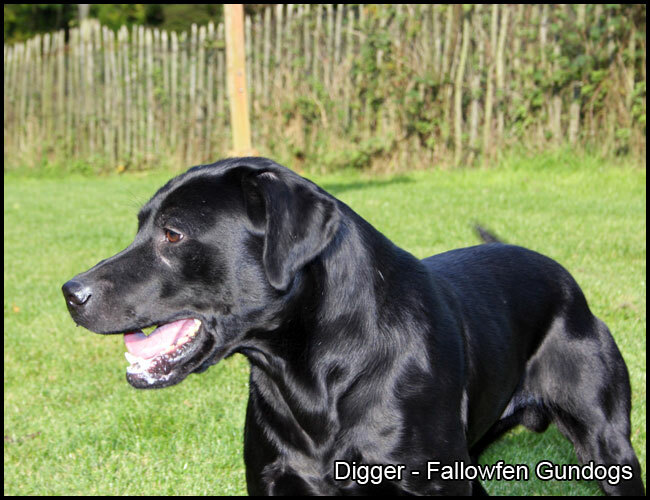 Digger is a compact black Labrador that is solid in shape with amazing energy, speed and style. 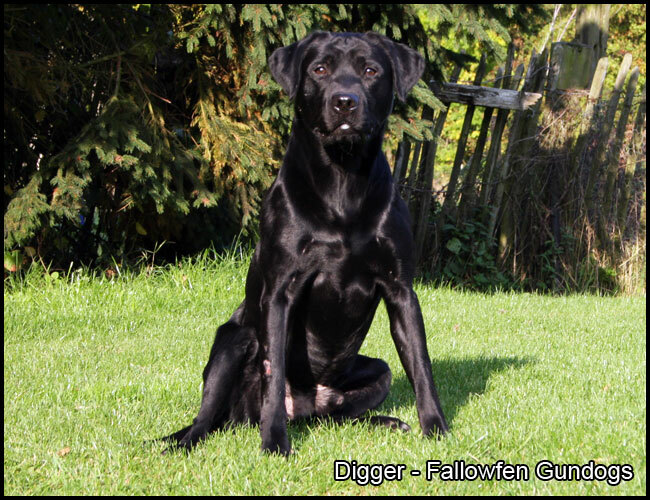 Digger is very socialible around any form of companion. 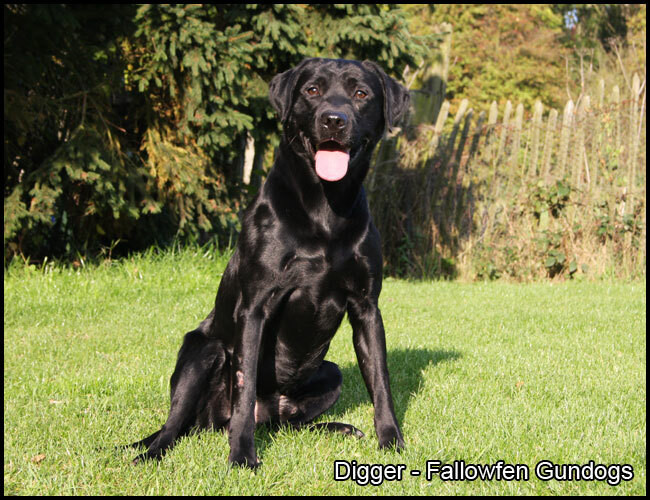 Digger is a very keen outgoing black labrador dog, full of fun and quick on his feet. 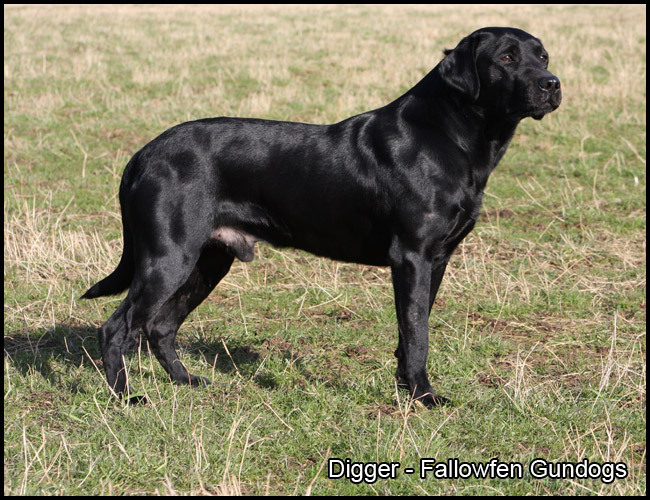 He has a strong athletic build with soft temperament. 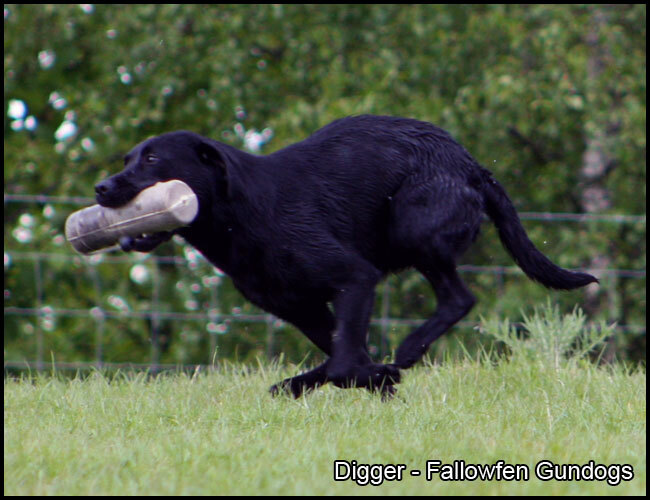 Digger is showing fantastic working ability and will be a strong part of the picking up team this here at Fallowfen training kennels. 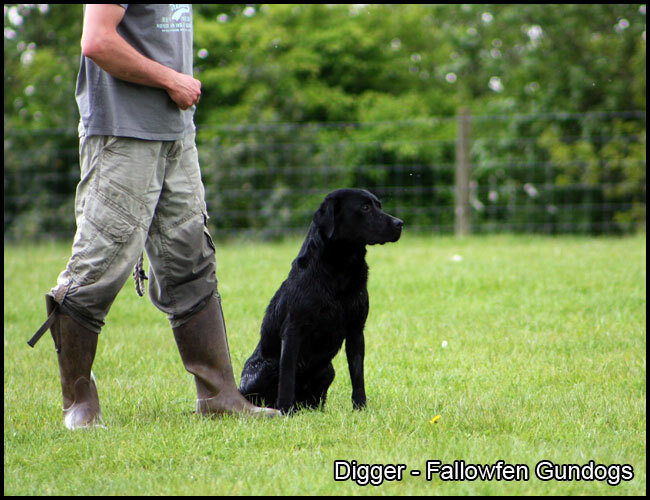 Digger has great scope not only as a black labrador stud dog but also as a working gundog standing on a peg or in a team of gundogs working behind the lines. 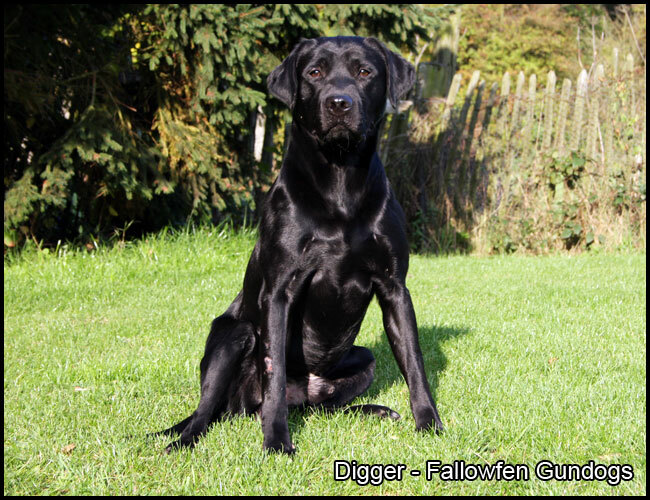 Calderhey Digger or Digger as he is known on a day to day basis, was born on 28/04/2009. 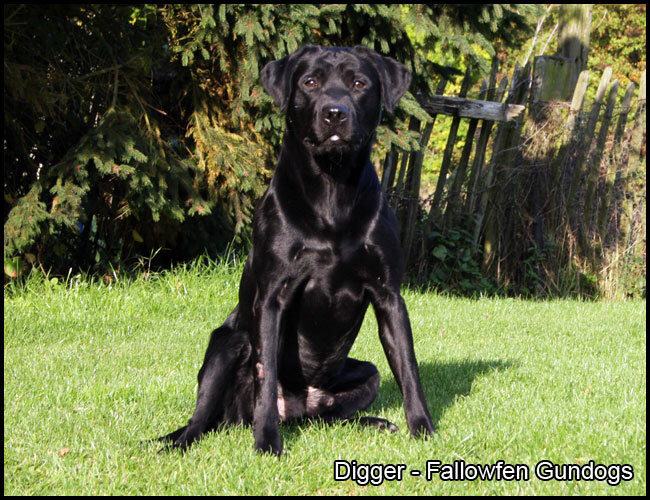 Digger’s father is FTW Dalvoulin Fraser of Drakeshead , Hip score 2/3, elbows 0, optigen tested clear for G.P.R.A, H.M.C.R, C.N.M and holds a current clear eye certificate.Digger’s mother is Pinnock Dove, Hips 0/2, elbows 0 and also holds a current clear eye certificate. 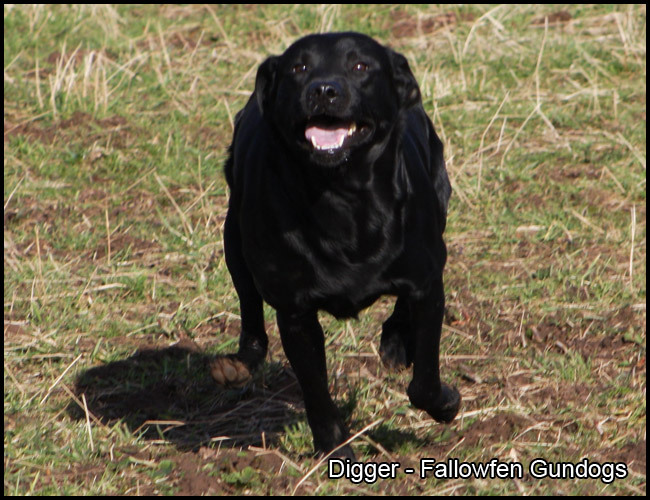 Digger’s pedigree contains some great working names including FTCH Kenwu Wilson of Heathergage, FTCH Birdbrook Aston of Bellever, FTCH Tibea Tosh, FTCH Palgrave Quin, FTCH Pockley Remus, FTCH Glencoin Drummer of Drakeshead, FTCH Brindlebay Bee, FTCH Willowyck Henman, FTCH Short thorn Ninja of Mansengreen.